The EAA’s historic Ford Tri-Motor lumbers overhead this morning. My media friends and I got to fly in her Thursday. 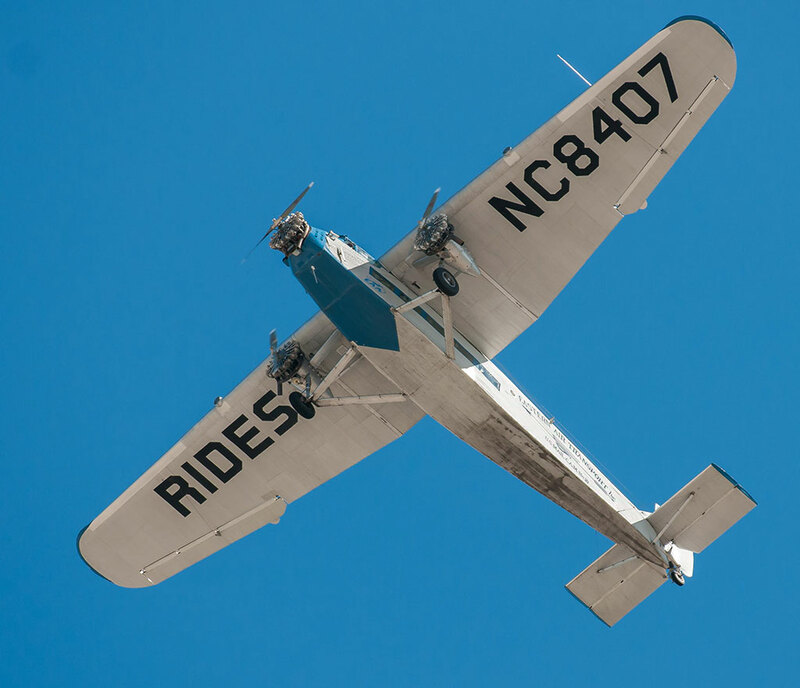 Readers might recall that three years ago my media cohorts and I were treated to a “media ride” on the Experimental Aircraft Association’s 1929 Ford Tri-Motor. The “Tin Goose” was in town again this week, and we took the usual media ride. After flying in the Ford Tri-Motor, my next assignment was ECU soccer. The match started about the time of our flight, and you can see them playing in the lower left hand corner of this image. 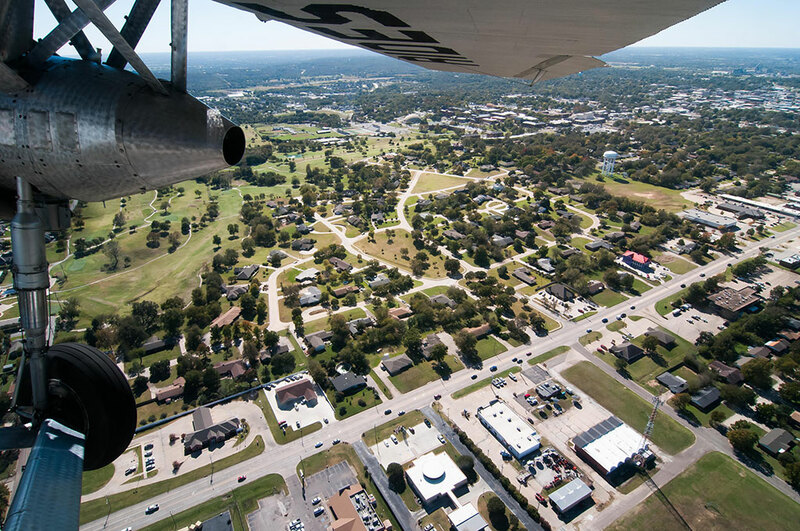 This view of Ada shows Arlington Street below. If you know Ada, it will be immediately familiar. 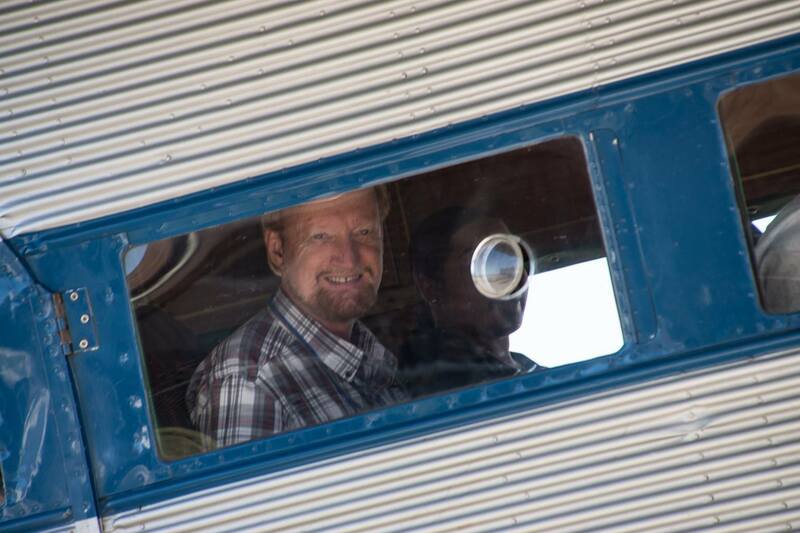 Photographer Wes Edens made this image of me peering out one of the huge picture windows of the Ford Tri-Motor. It was fun, but in all honesty, as a pilot, I’ve flown a lot of airplanes, and done a lot of crazy fun stuff in the sky, so puttering along in the world’s slowest airliner wasn’t exactly a thrill ride. Still, it’s always nice to be in the sky, and fun to meet up and do something unusual with my fellow media friends. 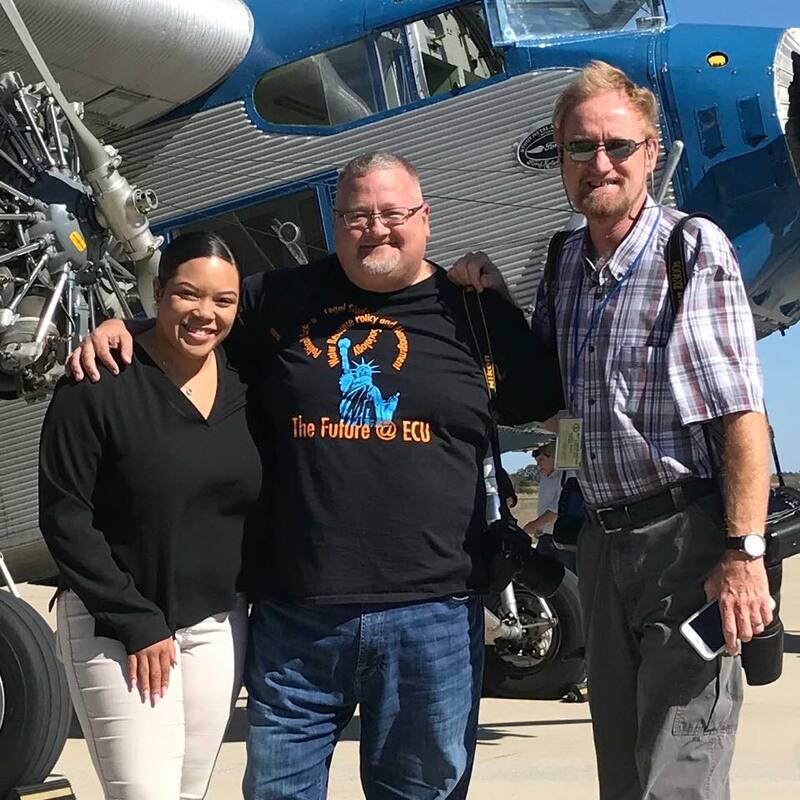 Sydney Gray from KXII poses with our reporter Carl Lewis and me before our ride in the Ford Tri-Motor Thursday. Among other things, images like this remind me that I am really tall. 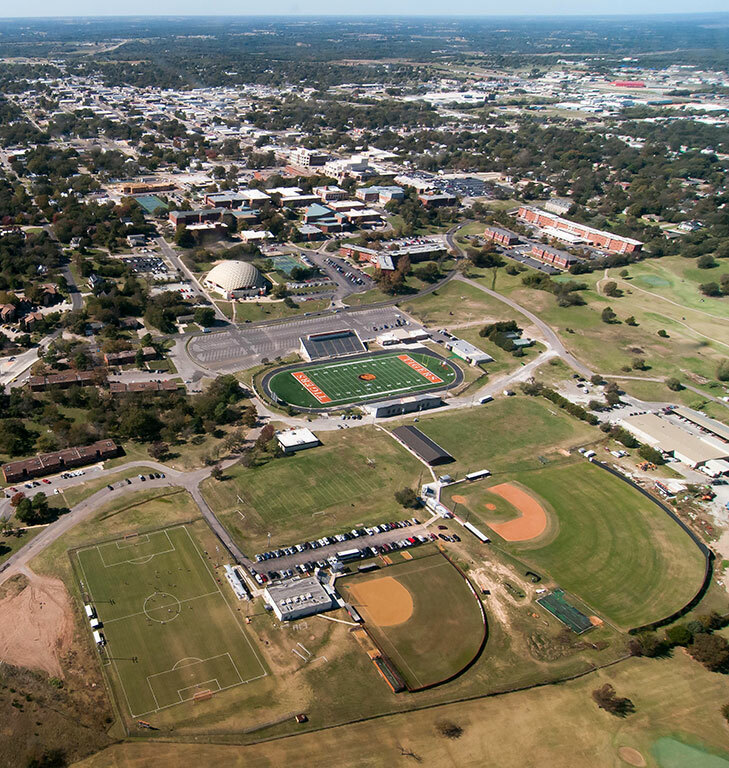 Nice to see Ada from the sky. Didn’t really recognize Arlington Street. No photo of Krazy Korner? Didn’t really fly over Crazy Corner. Gotta give it to Ada for being pleasantly green. Ok I’ll fess up, I want one. Going slow suits my travel style. You’ve always been tall but did you know that you are also plaid?